New figures released this week confirm that Norway’s carbon emissions have risen once again, and the country’s oil and gas industry is mostly to blame. For the first time, Norway’s emissions are higher than neighbouring Sweden’s, even though Sweden has a much larger population and a long industrial history. The figures from state statistics bureau SSB (Statistics Norway) show that Norway’s emissions of carbon equivalents are up 4.2 percent since 1990. That’s even higher than the level in a European report released earlier this year. 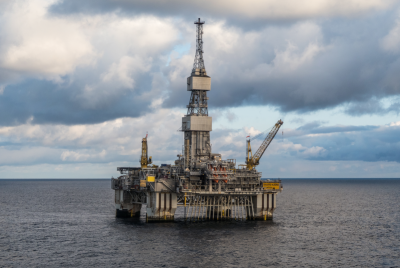 Emissions tied to Norway’s oil and gas industry were up 83.3 percent. Oil and gas industry were up 6.1 percent just from 2013 to 2014, when oil prices collapsed. Despite the slowdown in the oil industry since oil prices fell, emissions continued to rise, albeit at a lower rate: 2.5 percent from 2014 to 2015. SSB reported that amounted to 15.1 million tons of carbon equivalents in 2015, up from 14.7 million the year before. All told, Norway released a total of 53.9 million tons of carbon emissions in 2015, compared to 53.4 million in Sweden, according to the Swedish agency Naturvårdsverket. It marked the first time that Norway released more tons of carbon equivalents in a given year (500,000) than Sweden did. While Sweden has cut its emissions by 25 percent since 1990, Norway’s rose by the 4.2 percent. The figures don’t bode well for Norway’s declared goals to cut its 1990-level of emissions by 40 percent by 2030. Even though politicians from both the Conservatives- and Labour-led coalitions claim they’re committed to making Norway “greener,” neither is willing to cut back on oil exploration and production because of the economic development and jobs that can be created. Norway’s current Conservatives-led minority government just announced controversial plans, for example, to open 87 new blocs for exploration and eventual production in the Arctic. Gulowsen claimed that there’s not a country in the world that has talked so much about the environment and climate as Norway since the 1980s, when former Norwegian Prime Minister Gro Harlem Brundtland of the Labour Party presented a landmark UN report on the hazards of emissions. Norway nonetheless remains one of few countries in Europe that still allows itself to increase emissions. “It’s important to show that the goals aren’t being reached,” Gulowsen said. Even though Norwegian politicians are cracking down on the transport industry and making it ever more expensive for Norwegians to drive non-electric vehicles, for example, only major cuts in oil and gas production are likely to result in emissions cuts in Norway, given the huge role they play. State officials continue to disagree. As Lien and Prime Minister Erna Solberg continue to defend Norway’s oil industry despite criticism, the industry itself argues that more Norwegian oil and gas can actually help reverse climate change because it’s produced in a “cleaner” manner and generates fewer emissions than oil and gas produced in other countries. That’s been a topic of debate, but Hildegunn T Blindheim of the industry association Norsk Olje og Gass argues that the recent increases in emissions are blamed on older fields that are less efficient than newer installations. She’s confident Norway will meet its emissions goals, despite opening up the Arctic for more oil and gas activity. That was music to the ears of Lien and Statoil boss Eldar Sætre, who already is making more moves into alternative energy. “Some say that Norway must stop producing oil,” Sætre said. “I couldn’t disagree more. If Norway stops exploring to find new fields, we’ll lose the possibility to develop resources that the world needs and demands.” Figueres still expects zero emission by 2050, and for Norway to keep its promises.